Charged with the unenviable task of persuading people to pay increasingly high ticket prices to see David Wright and eight random guys play ball, Leigh Castergine appeared to be doing good work. At least according to the complaint that she filed recently in federal court. But in true Mets fashion, having hired somebody competent, they not only fired her, but left themselves wide open to a costly lawsuit. The key event according to Castergine was her unmarried pregnancy. She details owner Jeff Wilpon's various demeaning and abusive comments to her, as well as sundry management tendencies that will bring a knowing tear to the eyes of Mets fans everywhere. As ATL's Joe Patrice says, if the lawsuit doesn't work out, "she can succeed in writing the definitive insider account of sporting failure." Anne Vladek, a titan of the employment lawyers' bar in New York, is representing Castergine. 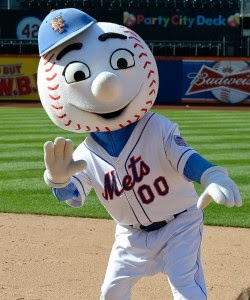 The Mets ought to be concerned. Very concerned. Vladek's last high-profile action against a metro area sports team resulted in a $9 million dollar verdict against the NY Knicks and (thankfully) hastened Isiah Thomas's exit. As for Patrice's query as to how anyone can still be a Mets fan after all these years, all I can say as a Mets fan is, Joe, that's a fair question.